With apologies to Scott Varnham, but it was quite a good gag. So yes, Gareth Roberts has officially announced (read: had a spontaneous Q&A on Twitter) that he didn't know anything about the Silence when writing "The Lodger". Which explains why he's never followed up on that bit of the storyline. Moffat certainly hasn't, so the mysteries about their involvement are unlikely to be explained any time in the near future. Roberts also talked about writing historicals (despite his success at writing straight Hartnell for the books, it's not likely to happen on screen), and his involvement with the 50th anniversary celebrations (he's written something but can't say what). The most interesting bit of info, however, was Roberts' announcement that he's novelising another Douglas Adams script - "City of Death", his favourite DW story. In the wake of the ingenuous and enjoyable "Shada", this is fantastic news, although we don't know anything about when or how much or the usual details as of yet. 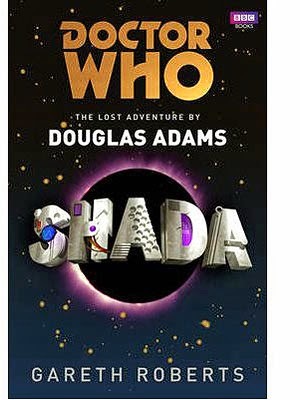 Or if Lalla Ward will read it as an audiobook. Until anything more comes out, you'll just have to content yourselves with David Lawrence's TSV novelisation (it's clever enough, tells the story quite well, and if you enjoy fanwank the Prologue is a breathtaking example of same).